Hoffman Law Group is the premier boutique real estate and eviction firm in the greater Northern California and Silicon Valley regions. For more than 20 years, Attorney Kirkman Hoffman has represented property owners, management companies, landlords, and property managers in a broad range of real estate, eviction, and commercial contract cases. A Leader in Eviction, Real Property, and Contract Law! The best lawyers are those who know their practice areas inside and out. With literally thousands of cases under his belt, Kirk has gained widespread recognition as one of the most knowledgeable real estate and eviction attorneys in California. Your case is too important to leave to chance – or unskilled hands. 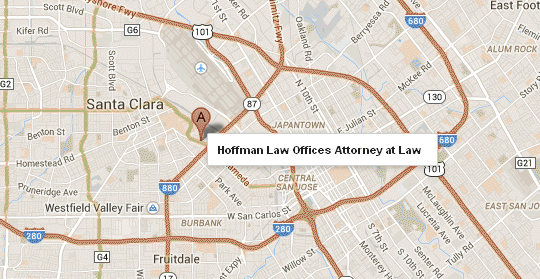 Hoffman Law Group maintains over a 98 percent success rate in all practice areas. Let Kirk Hoffman and his team help you identify effective solutions that achieve your goals. Contact Hoffman Law Group today at (408) 241-9620 or fill out the online contact form. 0 Everything they set out to do they accomplished. Everything was accurately validated. They have not said anything that was not done. I greatly appreciate that. Timeliness and good follow up. Like a well oiled machine. Derrick and Mr. Hoffman – they were on the same page, it was quick, it was efficient. It was just easy.